The shock was akin to the day LeBron announcing his intent to sign with the Los Angeles Lakers. Laker fans and NBA enthusiasts will remember where they were when Magic Johnson announced his spontaneous, groundbreaking decision. By now you've likely already heard: Magic Johnson is stepping down as President of Basketball Operations for the Los Angeles Lakers. Nobody - and I mean NOBODY - saw this coming on a windy, LA Tuesday afternoon. The great former Laker always emphasized that his team-building plan would be a two-year deal. Nabbing LeBron in free agency was merely part one of the grand scheme. Despite the flurry of questionable off and mid-season moves conducted by Magic, rational Laker fans would always utter the same refrain, "He said it was a two-year plan....we have cap space...give the man a chance to act out his full plan." 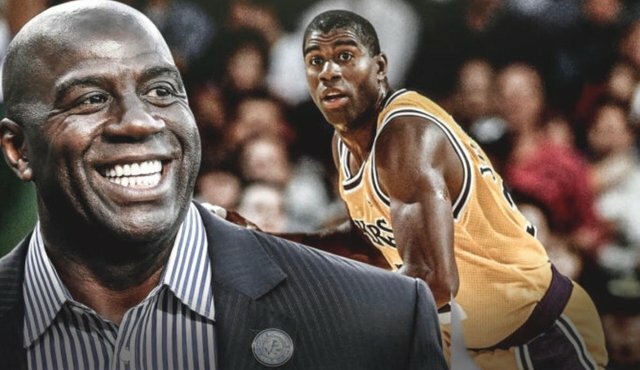 Well while Laker fans were preaching the good gospel, Magic was daydreaming about life before President. Johnson did it via sudden, unconventional means. He called an impromptu press conference and announced his decision to a group of reporters, practically going completely off the cuff. When inquisitors asked whether he discussed this with Jeanie before he said, "No.". When they opined whether LeBron was made aware of the franchise-altering move he said, "Nuh uh".Magic shocked us all. Not even the most ingrained Laker beat reporter saw anticipated this happening during the final hours of Game 82 in Year 1 of LeBron. It came off as a dark secret that had been bubbling inside Magic for quite some time. When asked why he chose to step down now, he gave a variety of answers that all followed the same theme. Being the Lakers President of Basketball Operations hindered him from being the ambassador of the NBA that he once was. He couldn't interact or endorse players like before, or else tampering fines would find him faster than a parking ticket on Street Sweeping day. He wasn't able to juggle the day-to-day demands that come with the job along with his other business engagements (like serving the lower-income LA community or the Dodgers ownership group). According to reports, he wanted to fill a part-time owner-like role, where he shows up occasionally to rally the troops while making the big calls behind the scenes. The little moves that come with being GM that you HAVE to get right to didn't seem to interest Magic. It certainly showed in his final product of roster construction. His missteps were straining his the relationship with lifelong friend and current owner Jeanie Buss. Not only was it testing his relationship with Jeanie, but it was testing the goodwill of city who loved him in his playing days. He was constantly getting hammered in traditional and social media spaces. The guy who had been adorned by LA for most of his professional life was smack dab in the underbelly of its wrath. In the eyes of most, it was deservedly so. Magic's shot-caller tenure was a comedy of errors. Trading a young, cheap, competent center like Ivica Zubac for nothing, letting Julius Randle & Brook Lopez walk, prioritizing headcase playmakers over stable shooters in the off-season, trading D'Angelo Russell a year before he needed to, failing to acquire Paul George in free agency, and ruining the team chemistry with the Anthony Davis trade deadline saga will be the missteps that paint Magic's GM tenure over the joy that was the acquisition of LeBron James. He had a chance to atone for his sins this summer with the capture of a second star and assembly of a competent, shooter-centric roster, but he stepped away by his own free will before he walked up to the line to shoot his shot. So many followup questions need real answers. Did he do this without telling anyone because he saw the writing on the wall? Did he know that no stars are going to join LeBron this summer? Did he want to fire Luke but Jeanie wouldn't let him? Did LeBron and company have any behind-the-scenes role to play in Magic's ouster? We may not hear the full story for another few weeks, months, or years, but I think there's truth to Magic's original reasons. He couldn't be his gregarious self in a Basketball Operations role. He didn't want to buckle down and learn how to get the little things right. He wants to return to his old life and help the LA community that showed him unconditional love during his years in a jersey. All that is understandable and fine. 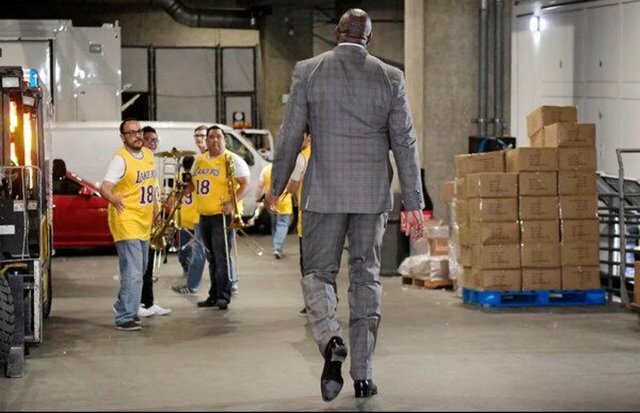 All I know is, as a Laker fan, I'm much more at ease knowing that Magic isn't in the driver's seat anymore. Even though he was a Laker icon, he had no previous front office experience which showed in a grandiose fashion. Just because somebody is a great player doesn't mean they'll make a great front office guy. Jerry West is the lone exception. Magic got the job because he was Jeanie's dear friend and a franchise legend - we all know he wasn't the most qualified candidate for the job. Johnson's departure paves the way for a proper candidate search. Laker fans should feel better heading into the off-season with the President role open rather than occupied by Magic. But you know what should be the first move? Get rid of current GM Rob Pelinka. Let's cleanse ourselves from the stench of this season, and rebuild the front office from the ground up. Conduct it in the most thorough way and end it with the hire of the most qualified candidate out of the bunch - previous Laker ties be damned. Unless that candidate is Jerry West. You don't think twice about for even one second, you shove a contract in that man's face at the first sign of interest! The ball is now in Jeanie's court. Let's see if she has the self-awareness to own up to her shortcomings like her old friend Magic. Good post. The one constant in all of this has been Jeannie. And yet, she has escaped criticism. When an organization is in turmoil, you always have to look at the head first. Exactly, she has been an important part in all of this and i'm sure when the true will be released she was involved. Amen to that. Jeanie has dodged a ton of criticism but Magic's exit leaves her vulnerable to an unseen level of scrutiny (for her). Honestly, my gut feeling is that she doesn't know what the hell she's doing, and she's falling back on people that she's comfortable around as opposed to finding the most qualified candidate for the job - which is going to screw us royally like it screwed us this year. Early reports are coming out that Rob Pelinka is not only going to keep his job, but he will retain more power in the wake of Magic's exit. I'm beyond frustrated with this because Pelinka comes across as at least if not more inept than Magic at a front office role. Thanks for reading the article! I believe Magic did this because in all the attemps he did to get somebody in the middle of the season he released no BIG star wanted to join to the proyect. 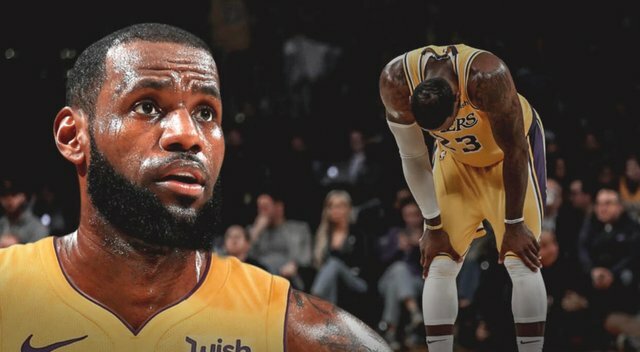 Now it's going to be a long summer for Lakers, because if Lebron doesn't see a strong leading for the proyect he could leave Lakers too. Lets hope for the best for Lakers! Yea I think there's some truth to the idea that Magic saw the writing on the wall. Who knows what the hell is going to transpire this summer, but early returns on superstars joining were not promising. Couple that with the fact that he flubbed so many minor moves, and it was clear as day that Magic wasn't meant for this role. Thanks for reading!